Before you start production, we have to first create a technical package, or tech pack, for short. The tech pack is the blueprint of how to assemble your product. It shows graphic placement, points of measure, graded measurements, trim placement, seams, etc. 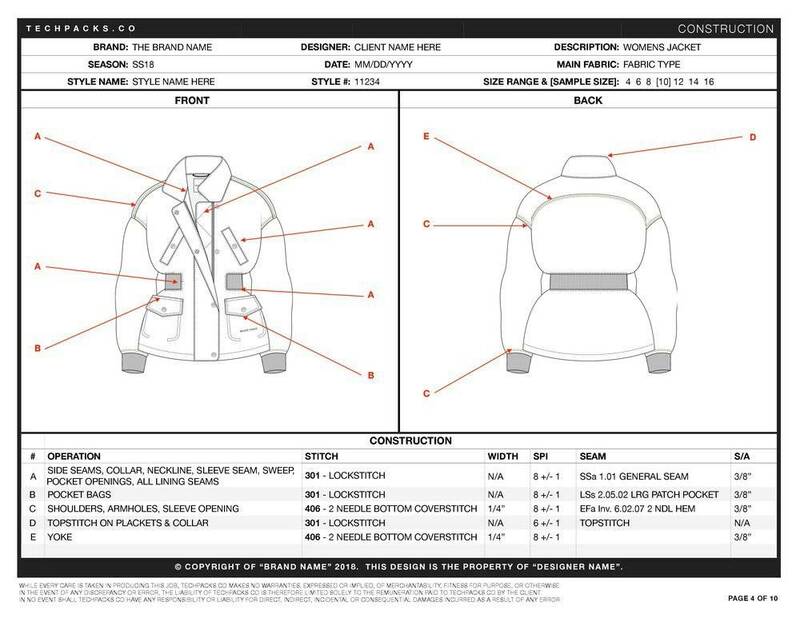 The tech pack is a very important tool – especially if you are working with a team of designers or a manufacturer. The document will help keep everyone aligned on creating the same product. Just as building furniture requires a manual, so does clothing. Once you’ve created the tech pack, you can create your first prototype. Always use a cheaper fabric to create the prototype as this is just a test for the pattern and the size of the garment. After you test and fit the prototype on a model, it will serve as an example of the product should look after everything is sewn and assembled.